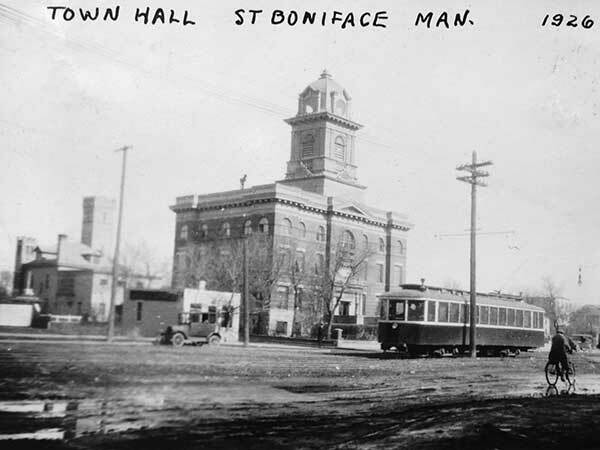 Designed for the Town of St. Boniface by architect Victor Horwood and completed in 1906 by the William Grace Company at a cost of $60,000, the main floor contained offices for the Secretary-Treasurer, Town Clerk, School Board, and Mayor. Council chambers were on the second floor, with residences for the Chief of Police and his assistant on the third floor. The court room and eleven jail cells (two for women, nine for men) were located in the basement. 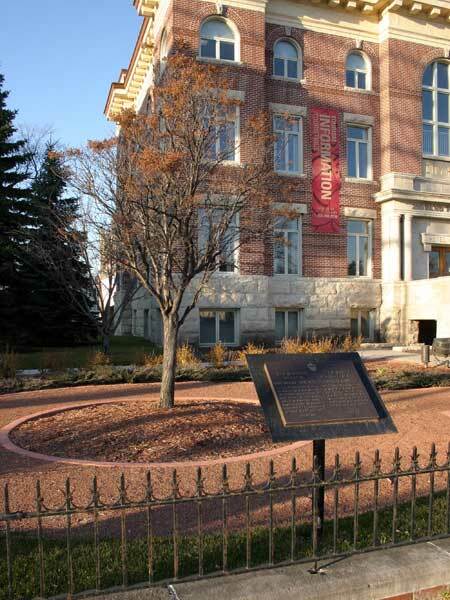 A City of Winnipeg plaque on the front grounds of the building, unveiled in July 1992, commemorates long-time St. Boniface resident and volunteer Maureen Fritz-Lonergan, and explains the planting of a Japanese Lilac Tree nearby. 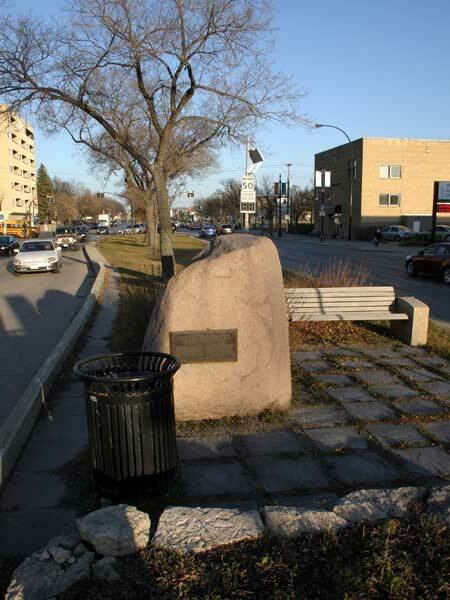 Nearby is an Historic Sites Advisory Board of Manitoba plaque that gives a brief history of the initial development of St. Boniface. Also on the site is a plaque erected in 1984 by the Historic Sites and Monuments Board of Canada. On the median of Provencher Boulevard in front of City Hall is a commemorative plaque for John Boily (nee Dimito Dooda, 1902-1977) who donated and maintained the nearby row of flowering trees. 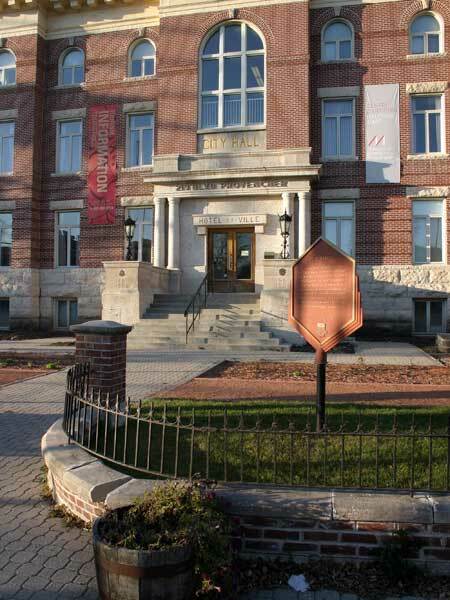 In 1988, the building underwent renovations that, the following year, were recognized with a Heritage Winnipeg Conservation Award. 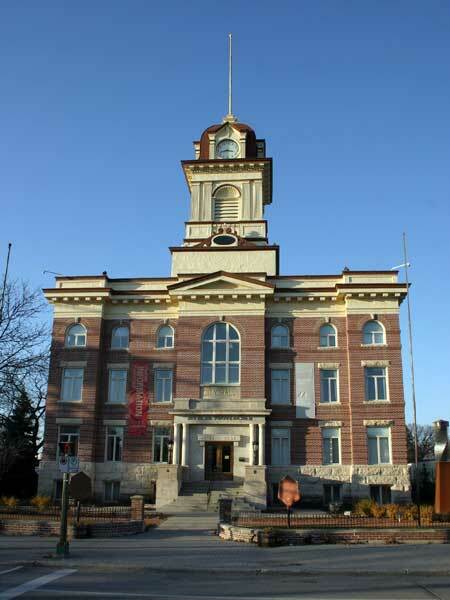 The building is a municipally-designated historic site. Source: Archives of Manitoba, George Harris Fonds, Acc. 1979-141, P7451, Album 14, Page 44. L’Hôtel-de-Ville de Saint-Boniface (St. Boniface City Hall), City of Winnipeg Historical Buildings Committee, September 1981.